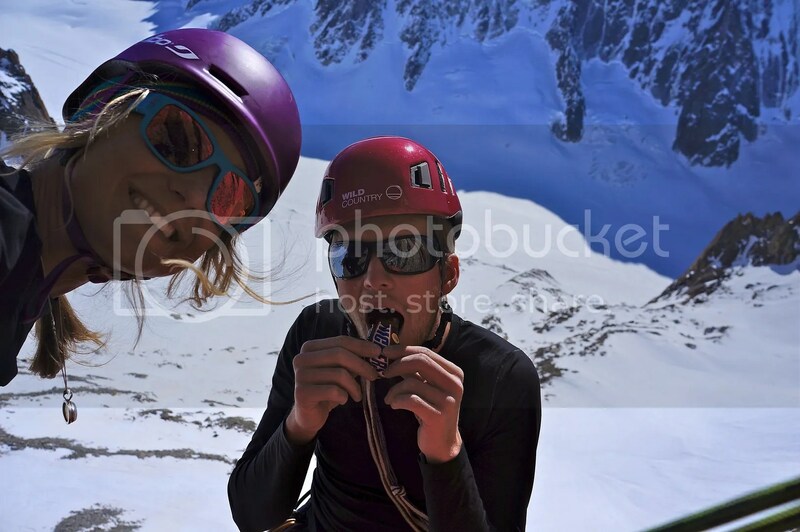 Has been a blur of fun days hanging out with good friend climbing and skiing. Nothing of any major note but always fun and always interesting… For me at least anyway! 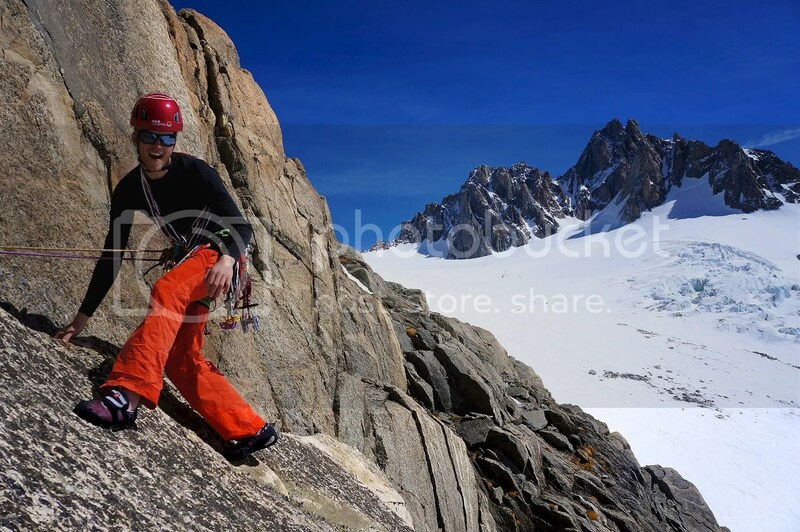 About a week ago we headed up to the Minaret in the Argentiere basin to have a look at a route called Versant Satanique. This amazing and completely splitter 9 pitch 6b+ which forges its way up through some impressive terrain has some amazing climbing and damn near perfect red granite. Myself and Liz managed to get 7 out of the 9 pitches climbed before the sun left us for day. I’m super keen to get back on this amazing piece of rock to finish of the route. Unfortunately along the way I managed to drop my faithful and trusty Canon S95 camera which took the 200m fall down the cliff and onto the glacier. Needless to say I have no photo’s from that outing or subsequent outings, Everything happens for a reason though and I decided it was high time I got an upgrade so I’ve splashed out on the S100 which I’m currently waiting for to arrive. Luckly Liz snapped a few shots of us as well as doing a bunch of filming for her Epic TV series The Daley Splitter. Keep your eyes peeled for it on Epic Tv. I’ve had to resort to using my go pro for the last few days to capture some stills from a few fun runs down the West Face of the Midi. Its good to see some fresh snow out here again and it makes a welcome change to ice, slush and sastrugi. Touring should be good in the next few days/weeks so hopefully they’ll be some more good days soon! Here’s some shots from the last few days. At an Awesome crag called Chambotte Near annecy before the snow came. Just after the snow finished. Poised at the Midi waiting for the clouds to clear. Michelle Blaydon skiing out the Bottom. 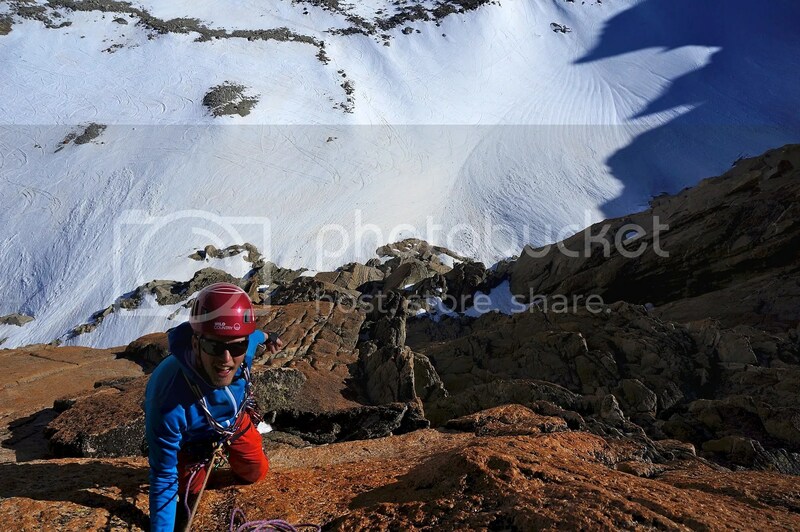 Looking up at the Midi west face…. Glad to be back on pow. My Biggest Day this Winter.